DVDFab – многофункциональное приложение для копирования оптических дисков с возможностью гибкой обработки видеопотока. Способна копировать, разбивать, пережимать и конвертировать DVD-диски. Уберет любую защиту с диска и при желании пережмет диск большой емкости и вместит его в обыкновенную пустую DVD болванку с минимальными потерями качества (DVD9->DVD5) или разобьет фильм на два диска с полным переносом его меню, удалит всю рекламу, запишет только фильм и т.д. DVDFab Имеет понятный многоязычный интерфейс. -Многоязычная поддержка, включая русский язык. DVDFab All-In-One is a versatile combo of nearly all the powerful DVDFab products -- DVD Copy, DVD Ripper, Blu-ray Copy, Blu-ray Ripper, Blu-ray to DVD Converter, DVD to Blu-ray Converter, DVD Creator, Blu-ray Creator, Video Converter, DVD Cinavia Removal, Blu-ray Cinavia Removal, DRM Removal for Apple, Screen Recorder & Editor for iOS, and File Transfer. It provides totally complete solution for all your DVD/Blu-ray/video issues and performs perfectly. Except for Cinavia and DRM products, all the tools in the package support Linux system, and you can click the Linux tab below to download or buy the Linux version of the package. New: Added the support to remove the Cinavia watermarks from the Blu-ray versions of Early Man, Winchester and Tyler Perry's Boo 2! A Madea Halloween. New: Added the support for the new protection as found on the DVD version of I Can Only Imagine. New: Introduced the DVDFab Prime Member service. New: Improved the speed under CUDA hardware acceleration. New: Added the support to set the custom bit rate as 100MB at the Advanced Settings panel when choosing 4K relevant conversion profiles. 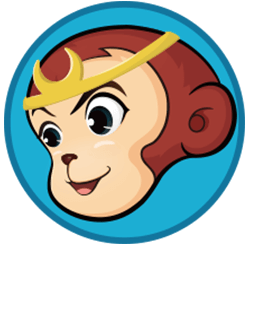 Fix: Some minor video transfer issues caused by the connection problem between File Transfer and DVDFab Remote. New: Improved the UI display. New: Added back the skin of Light of Hope. New: Added the support to customize the way to display dialog/message boxes at Common Settings > General. New: Added the DTS codec support to MP4 relevant profiles at the Audio section of Ripper and Video Converter modules. Fix: An output oversize problem when shrinking certain Blu-rays to DVD5 size. Fix: A noisy problem when playing back the MP4 videos converted by the Blu-ray Ripper module. Fix: A problem that a 00099.m2ts file is created even No Menu option is selected while authoring Blu-rays. Fix: A conversion failure problem when 2-pass encoding method is selected in the Video Converter module. New: Added the conversion profiles for Samsung Galaxy Tab S4, iPad Pro, Nokia 8/7.1/6.1/5/3.1/2 and Google Pixel 3/3 XL/2/2 XL in the Ripper and Converter modules. New: Added the Deinterlacing Method option at Common Settings > Conversion > Convert. Fix: A problem that the subtitles are placed at the top of the video screen after conversion. Fix: A conversion failure problem when authoring DVDs from certain AVI videos. Fix: Improved the File Transfer and the way to display the task queue. Fix: Improved some UI display issues. New: Added the support to choose how to display task queue at Common Settings > General. Fix: An opening failure problem on the bus encrypted Blu-ray discs. Fix: A wrong color space problem when converting with profile MKV.4K.H265.12bit.